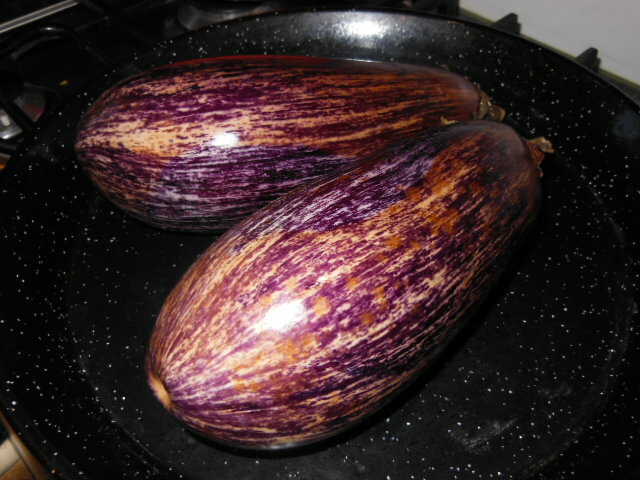 We bought these striped aubergines, known as eggplant in the US and Australia, from the International Supermarket. I usually buy the heavy dark purple ones but I was attracted to these and they were only £1 for two. I’ve tried to make a smoky aubergine dip in the past but not been very successful; I think that might be because I used the large dark purple ones. They are good for stewing and frying but can be too bitter and tough for a puree as they don’t breakdown very well. These were much softer and collapsed under my fork into the dip. Apparently aubergines are a fruit not a vegetable – news to me! This recipe was inspired by the cookbook Turkey by Leanne Kitchen. 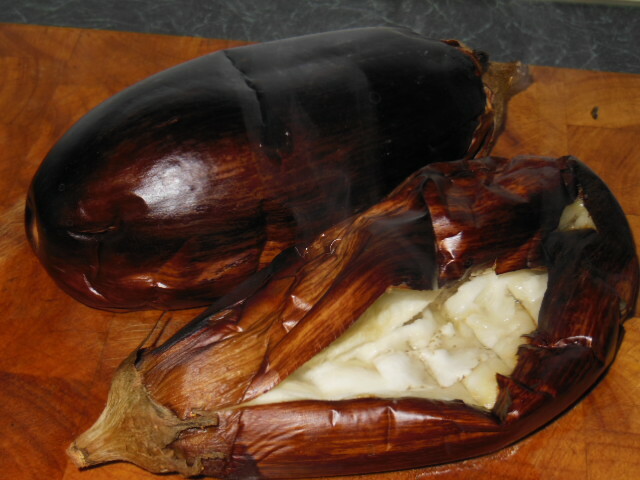 Roast the aubergines in a hot oven (220C / 425F / Gas mark 7) for about 30 minutes until they begin to collapse and the insides are soft and the skin is slightly charred. Leave to cool until you can handle them without burning your fingers. 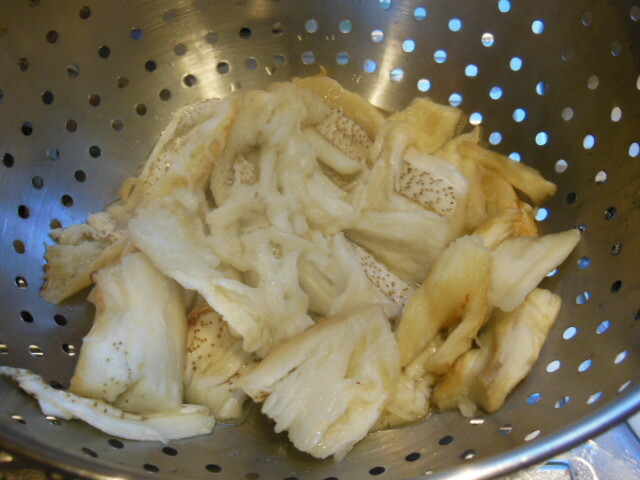 Remove all the skin, chop each length ways into strips and leave in a colander in the sink to drain for 30 minutes. Then put the pieces of aubergine into a large bowl and using scissors cut them up, then use a fork to mash them down further, add all the other ingredients and stir through. 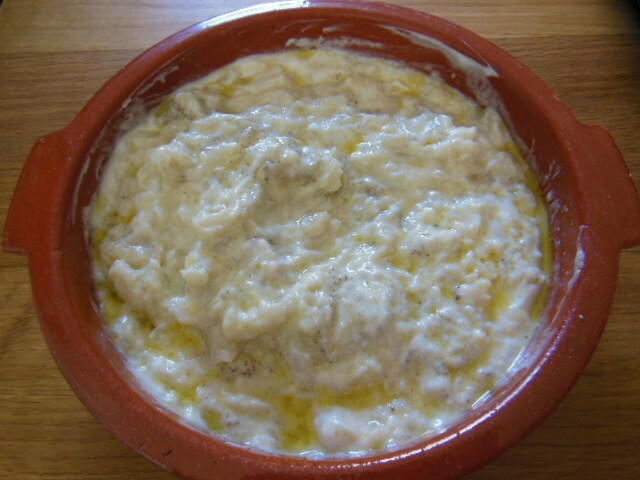 Serve with crackers or fresh bread or as part of a Turkish meze plate. This entry was posted in Product of the week, Recipes and tagged aubergine dip, Dips, Eggplant, Strained yogurt, striped aubergine. Bookmark the permalink.